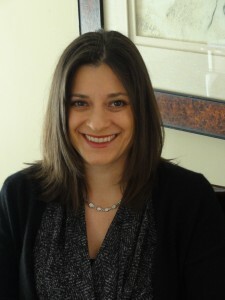 I am a collaborative divorce coach working with divorcing families using the collaborative process. I am deeply committed to helping families respectfully transition to achieve a dignified and holistic result on behalf of all family members. The collaborative model encourages clients to advocate their needs and interests and participate in the creation of their own future. As a coach, I work to help clients increase their communication and decrease their conflict. I assist in managing any emotional hurdles that may present as obstacles towards an effective resolution. I also help parents create their carefully crafted divorce story for their children in a child-centered and mindful manner. This will also include the creation of a parenting plan. My passion and commitment for the collaborative process runs deep as I believe that this alternate dispute resolution model supports families and keeps children’s needs and concerns paramount. I currently serve on the International Academy of Collaborative Professionals Board of Directors as the Secretary on the Executive Committee. I co-chair the European Collaborative Committee and I am a member of the Governance Committee. I am also a founding Board member on the statewide council, New Jersey Council of Collaborative Practice Groups. This is New Jersey statewide organization for collaborative practice groups. 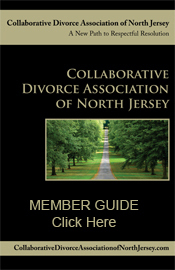 I am also on the Board of Directors for the Collaborative Divorce Association of North Jersey as the Treasurer and a past President. I am very dedicated to the inter-disciplinary model and practice group development. I have assisted and trained in multiple communities’ worldwide. There are 5,000 international practitioners around the world working within the collaborative model and assisting families.